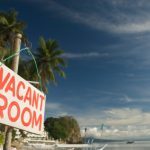 Travel Insurance - What's Necessary? This past week has been a lot of fun, as we’ve been hanging in Los Angeles for our vacation. It’s great to have some fun while getting work done as we headed to the E3 Expo to check out the latest video game technology. Our trip out west went smoothly, and we arrived in LA on time. Our friend’s wife wasn’t so fortunate, as she got caught in Atlanta with multiple delays. Ever since we (finally) met up, though, we’ve been having a blast. While eating breakfast in the hotel, I ran across an article on travel insurance that caught my attention. With so many people about to head out on the road for their summer vacations, I thought this would be an especially timely topic. Travel insurance is supposed to protect you against unexpected events. 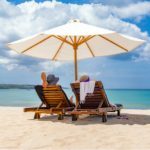 On the surface, this sounds very useful, but the value of travel insurance is a hotly debated topic. Some people are strongly in favor of it, while others hate it. The point of travel insurance is to reduce your financial obligations should something happen during your travels. It’s usually offered as a bundle with medical, cancellation, and interruption protection. There is also flight insurance that will cover your surviving family in case of a plane crash, but that’s usually expensive and completely unnecessary. The first place you should check is with your credit card company to see if you have any travel coverage or benefits. Some do, and others don’t. Just be careful because some issuers have dropped their travel coverage. When in doubt, look online or call the company. Believe it or not, your health insurance might already cover you for overseas emergencies. Here again, your best bet is to call your insurance provider and ask exactly what they do and do not cover. The decision to buy travel insurance (or not) depends on many factors, and you need to carefully consider your options to see if it makes sense for you. If you’re planning an expensive trip that you really can’t afford to have canceled, for example, you might want to check out your travel insurance options. You should also look at what kind of vacation you’re taking when considering extra insurance. For example, cruise companies are reportedly very difficult to work with, so insuring your cruise vacation might be a worthwhile idea. On the other hand, if you’re planning a short trip or staying within the country, you might decide that travel insurance doesn’t really offer enough benefits to justify the cost. You may decide to be self insured and create a savings buffer for the trip in case anything goes wrong. This approach can work if you have enough time ahead to get your finances squared away. When it comes to car rental insurance, be careful not to pay for coverage that you already have. Doing so can be a drain on your wallet. Start by checking with your car insurance company to see if you’re already covered. You should also check with your credit card issuer to see what sort of coverage they’ll provide if you charge your rental. Ultimately, you need to be prepared for the rapid-fire rundown of your insurance options that you’ll receive when you arrive at the rental desk. You may be rushed through the process, so be prepared, and don’t be afraid to ask questions or turn them down if you’re already covered. Collision Damage Waiver (CDW): With few exceptions, this waiver has the car rental company, not you, covering collision damage. This tends to be the most expensive coverage choice, and can add updward of $20/day to your car rental fees. Personal Effects Coverage (PEC): This coverage can protect you from theft and damage done to your vehicle. This sort of coverage will typically be provided by your own car insurance policy. Personal Accident Insurance (PAI): This sort of policy covers medical expenses for you and your passengers. Many people already have this sort of protection through their health insurance plans, at least for themselves. If you travel a lot and your current auto insurance policy doesn’t cover rental cars, you might want to ask how much it would be to add it as a rider. You might also want to shop around to find a reasonably priced policy if it costs too much. Again, it really pays to read the fine print and see if you’re getting something useful or if you’re paying for a service that you already have. 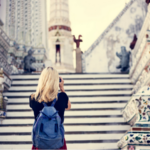 If you’re a regular traveler, what are your thoughts on travel insurance? Have you ever skipped it and gotten burned? Or paid for it and regretted it? Do you have any tips for deciding whether or not to buy it? 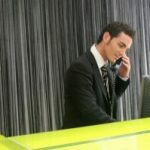 Save Money on Hotels by Calling the Property Directly? It’s funny that you mention to look at your credit card because we just found out about these benefits the other day. Might as well check to see what your card offers so you don’t buy what you already have; and boy, do some cards have a lot to offer. I highly recommend getting travel insurance. My husband and I always purchase ours through Travel Guard and boy has it come in handy on more than one occasion. At first we thought we’d never need it, but after our flight was cancelled all we had to do was call the insurance company and they worked on our behalf to schedule a new flight. Others were clearly frustrated and yelling around in the airport while we experienced hassle-free re-booking because of Travel Guard. I suppose at this point, I’m an experienced traveler. Domestically, I don’t buy travel insurance at all. No need. The only time I would ever consider it is if I am flying somewhere and a delayed arrival would royally screw some plans — meeting a cruise ship is the only thing I can think of at the moment. I will buy medical insurance for overseas travel, especially if I’m heading out into more rural areas. But for those who think travel insurance covers everything, it doesn’t. Even if you buy a policy that has a “cancel for no reason” clause, most will only pay out 80% or 90% of the total cost — and you’ve paid a few hundred $ for that policy, too. I am about to buy travel insurance for the first time. Normally I don’t bother with it, and have never had need to use it. However, I am getting my ACL replaced in a few weeks, and will be traveling overseas for a month in Dec-Jan. I want the security of knowing that I can be medically evacuated if something happens to my knee again. Thanks for this post! Nice read! Very informative! We’ve never opted for travel insurance, and haven’t regretted it thus far. Even if we do eventually get burned, we’ll have almost certainly saved enough by skipping it in the past to more than cover our loss. Good article. I am not a big fan of the stand alone travel insurance. However I do think it is a great idea to check with your health insurance before you travel outside the USA and also check with your car insurance company about rental car coverage. 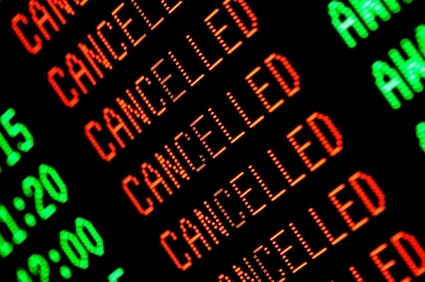 Most people think that with the travel insurance polices they can cancel their trip and get reimbursed and that is not the case. Be sure and read the policy.